The marketing challenge of the future: how to get people to download your app. You might be facing these struggles with your company’s app too. There are many strategies to increase app downloads, including pre-launch marketing, active blogging and gaining endorsement. 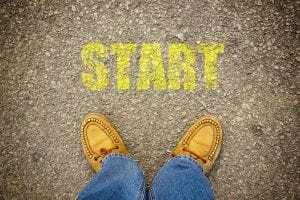 While these are great long-term projects, you can start small. 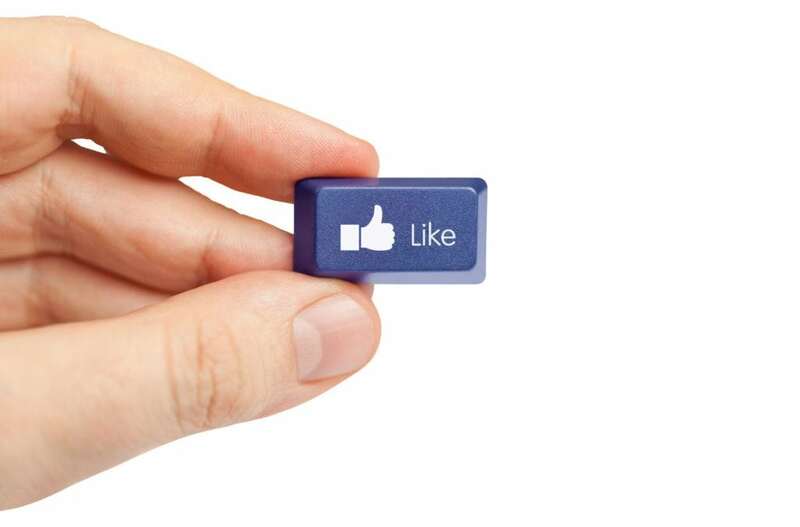 Facebook has a new button! 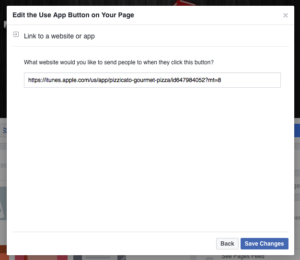 You can now add a “Use App” button to your Facebook business page, and link it directly to your app. 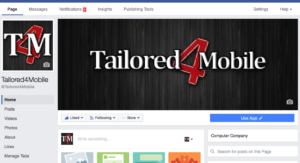 Your Facebook visitors will be just one click away from downloading and using your app! This post is not about just any call to action, it’s about getting people to download your app. 5. Click Save Changes, and admire your new button! That’s it, piece of cake. Now any visitor who comes to your Facebook page will see the call to action “Use App”. You are literally telling your customers what their next step is, with regards to your brand. Once they click on that button, they’ll be taken directly to your app. So don’t miss out on this easy (and free) way to connect with your customers and market your app! P.S. 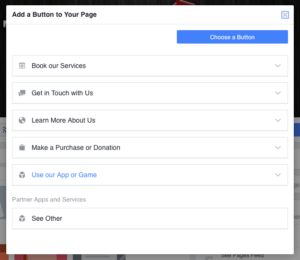 This button is not only for adding an app to your Facebook page. If you want your “button” to say and do something else (i.e. contain a different CTA), simply pick another option from the drop-down menu. We have reached the point of critical mass on mobile. People are increasingly spending less time on other channels and more time on their smartphone or other mobile devices. As we know already, time spent is money spent. In fact, mobile e-commerce experienced a 47% growth rate last year, which means it is more important than ever to examine the success of your app and how it can be improved. The goal of every mobile app is to become part of a user’s daily routine. Consumers can have hundreds of apps on their phone, but their activity on most is little to nonexistent. They only use a small fraction, roughly 20 or so, of those apps on a daily basis. You want your app to be in that select 20. How do you get there? The answer is push notifications. Push notifications are more effective than email when it comes to keeping your business top of mind with potential customers. They are more user-centric, create a fluent journey back to your brand’s app and, most importantly, they are more engaging. Before you begin thinking about how to craft the perfect push notifications, you need to understand how consumers use and interact with an app. Again, your goal is for your app to be part of each user’s typical routine. Thus, it is important to know which users have already made your app part of that practice, which users need to be re-engaged, and which users are using your app for the first time. In other words, you need to know which of the following 4 stages each individual is at and how you can push them towards becoming a more engaged user. Newbie – These are new users. They are seeing, testing and using your app for the first time. In the next few hours, days, or maybe just the next few minutes, these ‘newbies’ are going to decide if your app is worth their while. Ultimately, they will choose to uninstall the app and fall into the passerby stage or become an engaged or sometimes-dormant user. Your mission is to push them towards becoming an engaged user rather than uninstalling the app. Passerby – These are the 23% consumers that used your app a few times, but ultimately moved on. Once they have uninstalled, your ability to send them push notifications is diminished. However, the passerby users still represent some value. First, they hold a wealth of information about what your app didn’t do for them. Secondly, your passersby users are a good way to measure the churn rate of your app and its overall success. engagedEngaged – These are the people that consider your app one of their favorites. They use it often, most likely daily. They are the single most important group and need to be targeted appropriately to maintain this high level of engagement. Accomplishing this stimulated engagement through push notifications takes quite a bit of creativity. Dormant – Dormant users are individuals who were once engaged, but have slacked off. Perhaps, they don’t have as much time, got busy with other apps, or maybe just forgot about your app. Whatever the case may be, these users have to be reinvigorated to start using the app once again. Your push notifications need to be customer-centric. The type of message you send a dormant user isn’t going to be the same as the one you send to an engaged user. In order to understand your users better and know where along the app behavior spectrum each user is, you need app engagement data. Data is the best way to get a complete view of each individual app user. Sadly, research shows that 95% of the data within a business goes untapped. After all, every user is different; they interact differently, have different preferences and so on. The more you know about your users, the more personalized you can make your push notifications. Without personalization, 94% of consumers simply delete what you send. location dataLocation – The most useful application of location-based data is knowing when your customers are physically near your store and offering them a push notification with user-specific deals, info or savings. Keep in mind that nearly half of mobile users opt-in to push notifications that are location based because they find them useful. So make sure you are giving them the information they need. Airlines have had success offering push notifications to notify travelers of gate changes or delays. Or if a consumer is traveling, you can notify them of store locations near them which they may not be familiar with. Timing – In the past, companies would send out all of their marketing messages at a certain time of day. The consensus was that most users were active at 9AM, which made it the most attractive time to send these blanket messages. But, most isn’t all and the success of these blanket messages is in a sharp decline. Consumers want to be interacted with on their time, not yours. Knowing when each user is active on the app or browsing their phone is crucial to timing your notifications. Behavior – As mentioned before, knowing what stage of behavior each user is at is important. You don’t want to push ‘buy now’ notifications on a newbie customer because it will feel like spam. Instead, you should send notifications that inform newbies about different features of the app, which they may not be aware of. This allows you to demonstrate all of the ways your app is useful to this new user and, hopefully, encourage them to stick around. Behaviors also include how an individual uses your app. They may not need or want to use every feature; they may only use it for a single purpose. Thus, you may want to cater notifications specific for those behaviors. Preferences – Nothing says personalization like catering the mobile experience to your user’s preferences. The Harvard Business Review claims consumers are 40% more likely to buy from businesses who send personalized messages. Customers want the information, products, playlists, images etc. that they personally find most interesting. For example, if your app delivers sports news, your push notifications should only pertain to a user’s favorite teams. You don’t want to over saturate them with news about teams they aren’t even interested in. The same goes for push notifications about new products or savings. 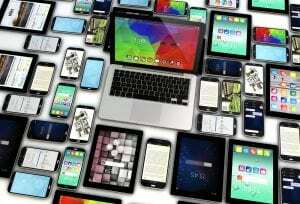 devices-1Device – This can be an easily overlooked area, but it is very important when you consider the numerous different devices and touchpoints that consumers are using. Most of us, whether we are aware of it or not, have a routine schedule of when we use each of our devices. We may use our smartphone when we first wake up, but then switch to a tablet device later in the morning, before alternating between an office laptop and our phones again. Push notifications can feel spammy or annoying when a user receives the same notification on each device. When you want to send a notification, you want to send it to the one device that the user is likely using at that moment. modifyThe push notifications you send users should enhance the customer experience, not harm it. Every user should be glad they got the notification when they did; it should be valuable to them in some way. Again, the “spray and pray,” blanket messages are no longer a valid strategy. In fact, they can be dangerous and damaging to the customer experience. The numbers show that people will actually delete your app if they are sent between 6-10 useless messages. Does it achieve that goal? Does it do so in a way that the user will find interesting and engaging? You can’t assume that by simply asking these questions, your push notifications will become effective in achieving their objectives. You actually have to measure their success using viable metrics. Push notifications have to achieve a lot, with only a limited amount of real estate. Thus, even the slightest change in wordage or timing can make a big difference. To counteract this, you may want to test various messages at the same time to determine how each specific message performs relative to others. For example, 1800-Flowers tested two similar messages alongside one another. The first message offered a 15% discount to come back and shop again. The other, worded almost identically, didn’t offer the 15% coupon. Surprisingly, the message without the savings deal was more successful at engaging consumers to come back and shop again. Remember, even a failed experiment or a bad push notification can be valuable, from a data standpoint. Mobile is this generation’s gold rush and push notifications are the path to the west. 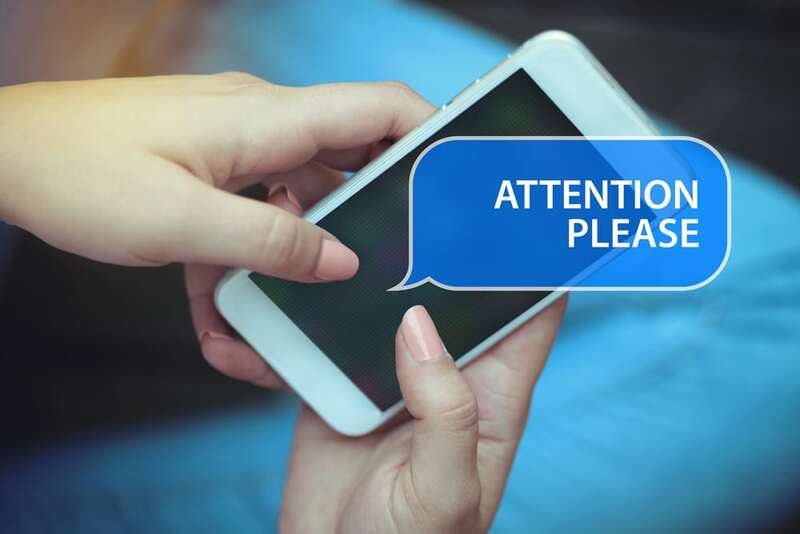 Those that are willing to utilize data collection tools to craft more well-timed, user-centric notifications while experimenting with new and creative ways to reach these mobile users will quickly find themselves striking gold with mobile. Snapping photos on the beach and sharing regular status updates has become the norm for communication. Whether it’s announcing your newborn baby or venting over daily frustrations, nearly every social media platform allows you to share your (digitally altered) life seamlessly. In the business world, social media has become a go-to for brand development and customer care. It’s an easy way to stay in touch with customers and creatively market your products or services. 63% of millennials report staying up to date on brands through social media, and 46% of millennials use social media when making online purchases. Businesses are beginning to digest these statistics and leverage social media’s role in their customers’ lives. Now, 78% of companies report that they have teams dedicated solely to social media. 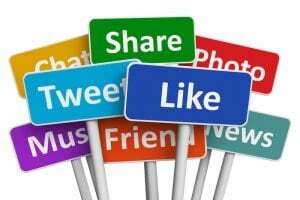 Though social media fits neatly into an effective marketing campaign, it can be used for much, much more than that. While traditional support channels hide the customer behind the interaction, leaving you with just an email or phone number, social media support is a real glimpse into your customers’ lives. It can serve as a fantastic customer service tool that adds transparency and humanity your customers appreciate. Questions are often answered for all to see, leaving little room for poor, half-baked responses. It’s also highly efficient. Tons of businesses use Twitter as a support and customer communication tool. You can educate thousands of followers with one tweet and cut down on emails, calls, and chats. This is especially useful during service outages, product releases, or anytime you expect high demand. These channels generate valuable feedback too. Facebook and Google+ reviews offer valuable customer happiness insights and add a level of trust for prospective customers researching your business. Positive peer reviews are also more likely to land you a sale than self-marketing, so these rating features go a long way. When you’re present on someone’s feed, you’re more likely to influence their next plan or purchase. Offer rewards through social media. Create contests and incentives for people to “check in” at your location, or offer coupons in exchange for page likes and shares. At the very least, you’ll gain some screen time on their social feed and catch someone’s eye. And ideally, you’ll encourage repeat business that evolves into a loyal customer base. Increased engagement means increased customer retention. The more you can get your followers chiming in or clicking through—whether that’s with exclusive deals, helpful content, or genuine and thoughtful messaging—the better your chances of keeping them around. Try spurring discussion on your page or around a specific post by inviting your followers into the conversation. The topic doesn’t have to be your business or services, but something relevant to your industry that builds an association with your brand. User commentary can shed real light on companies’ strengths and shortcomings. Listen to what people say and incorporate the best feedback into your business/product roadmap. Customers will appreciate their impact and likely offer more constructive criticism down the road. Plus, what better way to improve your products and generate new ideas that your target audience really wants? The life of a product or service can also be extended by resurfacing older content. For example, if you publish a blog post about a new product, plug last month’s release too. When you re-share “old” news along with fresh content, you can revive interest and catch the eye of users who missed it the first time around (likely a lot of them, since our feeds are so oversaturated these days). And since we’re on the topic, don’t forget the role social media plays in product marketing. Welcome to the age of online ordering. It’s more convenient and cost-effective than traveling to the store or making a phone call, especially now that the majority of online retailers have free and fast shipping options. 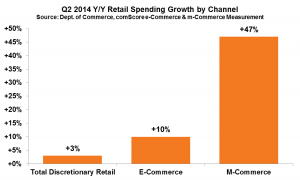 As of 2015, 69% of adults shop online monthly and 33% weekly. If you only sell products at your location, you’re limiting your reach considerably. Online and mobile ordering removed the geographical constraints that limit your market. So how can you leverage social media for online sales? First off, shareability. When you sell online, you can offer discounts to buyers who share a product or service with friends over social media. Groupon is a great example of this: if you get X amount of friends to buy the same deal as you, your purchase is free. Secondly, social media can be used as an independent online shop.Facebook pages can serve as online shops. Pinterest is a prime online commerce tool. And that’s just the tip of the iceberg. Businesses are no longer only limited to ads and word-of-mouth to find the best employees—top talent can be recruited through social media. Sites like LinkedIn let them share job openings site-wide and conduct better candidate screening. The social element adds a whole new layer to the traditional interview process. You may “connect” with a potential candidate before you ever interview them, gaining access to their network, interests, endorsed skills, and more. This modern transparency is a far cry from old school hiring. It’s a whole new world for job-seekers too. You can apply for positions right through LinkedIn and even see how many applications have already been submitted, or check out a company’s Glassdoor reviews for a glimpse into their culture. My college newspaper has a Facebook group for its alumni staff; members are constantly sharing openings at their companies and encouraging others to apply. And on any site, users can easily share listings with friends and family who may be interested. While making connections used to mean circling up at a conference and trading business cards, these days you can gain as much—if not more—networking value from social media. It’s never been easier to engage with other professionals and make highly personal connections that flourish and last. You can also tell a lot from a person’s profile and the content they regularly publish. LinkedIn is obvious for this purpose, but Twitter is an incredible networking tool as well. Much like walking up to a circle of strangers and introducing yourself, you can start conversations or join active discussions by tweeting at other users. Twitter lacks the “friends-only” vibe of Facebook—its users typically welcome followers they don’t know personally, and the most active often interact daily with people they’ve never met face-to-face. It’s easy to see what the future might hold with social media. Be your own time machine—stay up on the latest industry trends and anticipate advances to get a head start. Research what customers are saying about competing brands and let that inform your strategy. Better to learn from another company’s mistakes than make them, and better to celebrate their successes as teaching moments too. If used to its full potential, social media can drive success creatively and at little cost to businesses. So log in! A strong social network can become an asset for any business. Social media offers every business the opportunity to strengthen relationships with their target audience, creating loyal customers and even brand advocates. Exploiting this potential is no easy feat, but can be done if the medium is used well. Unfortunately, many companies are still not getting the best out of their social media accounts. Yet social media is big business: 74% of all internet users use social networking sites, and for younger adults it’s even more. That’s a huge readjustment of the traditional marketing paradigm. The fact is, if you want to reach your audience, social media is the place to start. But avoiding the many pitfalls can prove difficult. Everybody’s doing it, and they’re telling you that your business should be too. It may be great for other businesses, but you just aren’t sure how it can help your company. If you aren’t clear on the benefits of social media, then the chances are you aren’t going to use it properly, and it could be damaging to your business. Yet, no presence on social media is a poor choice as well. Even if you aren’t on Facebook or Instagram, your audience is, and they’re likely having a conversation about you—without your input. Take the time to understand social media and what it can do for you, and invest the time and budget needed to do it well. It’s difficult to get the tone right on social media. Each social network has different systems, rules, and social norms. What is acceptable on one network may be a social faux pas on another. Take the time to respond to messages left by customers; social media is about engagement and conversation should be a two way street. Don’t talk about yourself continuously, or spam your followers’ feeds with sales messages. Don’t be needy. Asking for retweets and likes for your content is frowned upon. If the content and messages you are sharing are truly interesting and insightful, shares, likes, and retweets will take care of themselves. Don’t be afraid to be imperfect (in fact humanizing your brand is a good thing on social media) but be aware you are expected to follow the unwritten rules of social networking behavior. Spreading yourself too thinly across every social network is a common mistake. You want to be everywhere so you can maximize the opportunity, but cast the net too wide and it will be difficult to network effectively across all channels. Building a strong network on 1 or 2 social media platforms is much better than having a weak and patchy presence on them all. It’s more difficult for a business to regularly update many social media accounts. Even if you manage to maintain a regular presence, the quality of your content will probably suffer. 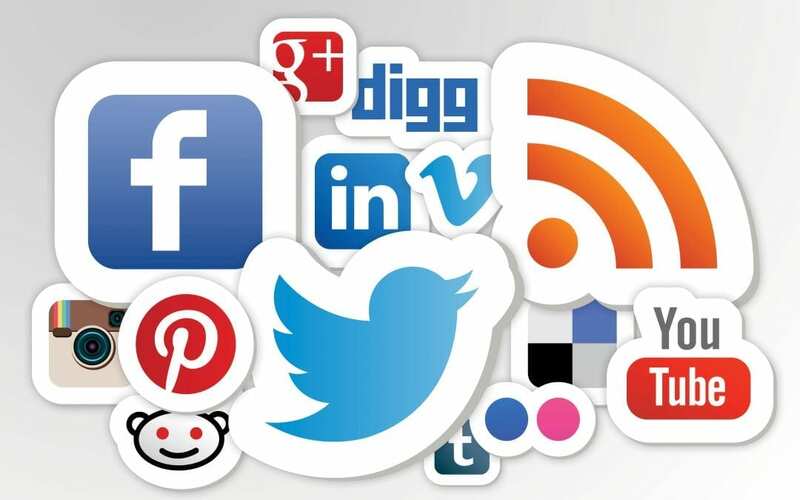 Being on too many social networks will undermine your brand values, not reinforce them. 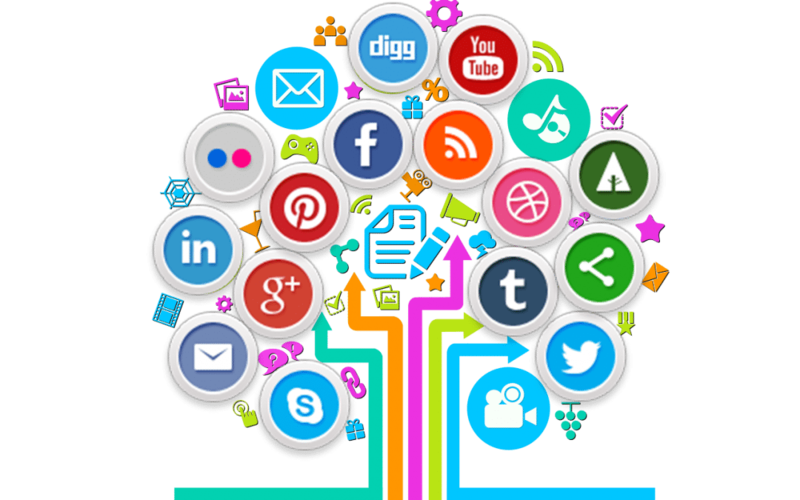 Each social network has its own strengths, and they are popular with different audiences. Choose one or two that are best for you. Research them to find out where your audience hangs out and think carefully about what you want to achieve on social media. If you are a creative, youth oriented brand, Instagram or Snapchat may be a great social network for you to engage your audience. Conversely, if you’re a B2B company, LinkedIn may the best choice. Your social media presence should be about brand awareness and customer engagement, and these goals should be at the heart of your business strategy on social media. Too many businesses use social media as a broadcasting channel or sales channel. But social media isn’t just a free advertising channel – it has the potential to build a relationship with your target market and improve customer loyalty. But first you have to get your content right. In order to build your network you must consider your customer’s needs and have a content strategy in place. An unfocused approach that prioritizes quantity of content over quality isn’t going to be successful. If it doesn’t provide value to your audience, they aren’t going to engage with you. Building a conversation with your customers is the holy grail of social media. But many businesses invest most of their time building awareness and growing their network, rather than having a conversation. Comments from customers are the beginning of a dialogue with them, the moment at which they give you permission to interact with them. Yet research has found 9 out of 10 social media comments sent to brands are ignored. The same research found people expect a response within 4 hours, and the average is 10 hours. Take the example of British Airways. In 2013 a customer promoted a tweet to complain about the customer service, the company’s Twitter account was only monitored during office hours so there was a delay in their response, which gave the tweet plenty of time to circulate around the Internet. It’s ironic that so much energy is spent building a social network to strengthen customer relationships and the opportunity to do so is ignored when it presents itself. Balance building your social presence with strengthening your network and always respond to your customers promptly. We all want to show ourselves in the best light possible, but sweeping negativity under the carpet is simply going to infuriate dissatisfied customers even more. No organization is perfect, but show you are prepared to learn from your mistakes by facing them head on. People are increasingly expecting a response to their complaints through social media. They won’t call you, they won’t write (not even an email), they will however take to social media to inform you, and everyone in your network. It’s a particularly public form of complaint, and you need to be ready or it could prove costly. United Airlines paid a heavy price for poor complaint management in 2008 when a disgruntled passenger took to YouTube after getting no satisfaction from their complaints procedure. When this happens, be professional and don’t be defensive. The old adage (some might say cliché) about a complaint being an opportunity is certainly true on social media. You can’t stop people from complaining about you, but you can demonstrate a willingness to learn from any mistakes. Not just to customer with the issue, but to all your customers in your social network. All a disgruntled employee needs is your login and password, and they have access to your entire social network, including customers, partners, and your target audience. The potential to damage your reputation and lose business is incalculable. In 2013, an employee of British retailer HMV hijacked the company’s Twitter account. Senior management was helpless as it didn’t know its own password. To avoid this situation happening to you, put in place a system that secures your social media accounts and reduces the potential for reputational damage. Set up limited permissions for selected staff to update your social media. Managing your social media accounts shouldn’t be left to a low-level employee. Make sure publishing rights are only given to a select number of people who have responsibility for overseeing the suitability of the content (though many people in the organization should be encouraged to draft content). Train your staff about social media. Complacency can lead to public embarrassment; put in place security measures to protect the integrity of your brand. It’s understandable businesses are inclined to reduce the burden of updating their social media accounts by automating them. But automation tools should be used with caution; they can never be a substitute for true engagement with customers. Businesses should take care to ensure customer engagement isn’t forgotten in the rush to reduce workload. Without customer engagement you are reducing your social networks to a promotional tool, or a cheap advertising channel, and you won’t get any value out if it. Your customers can’t have a conversation with an automation tool. It’s often the case that businesses fall into the trap of ‘silo thinking’, and social media is no exception. In organizations that still treat social media as a promotional tool, it’s often left in the control of the marketing function. In recognition of its increasing importance as a means of managing the customer relationships, many organizations are now taking a decentralized approach to reflect customer expectations. Your social network is now a sales channel, a promotional channel, a customer service channel, and a market research channel. To get the best out of it, and to meet your customers’ expectations, move it out of the marketing department and make it an integral part of your customer relationships. The place of social media in business strategy has evolved, and it has moved from just a marketing device to a tool that’s of strategic importance to your company and its brand. Many companies haven’t embraced its full potential. Organizations need to remember customers are using social media as a place to discuss and complain about brands whether the company is engaging with them or not. Asking for the how much it costs to make an app is rather vague. It is like asking, ‘what’s the price of a car? Well, what kind of car are you trying to buy? A used one with high mileage or a brand new, exotic, luxury car? The same questions can be said of mobile apps. If you have ever searched for the cost of creating an app (perhaps that is what brought you here), you probably got a lot of different answers. The answers can range anywhere from a few thousand dollars to a few hundred thousand dollars. Why? Because mobile development involves a lot of different variables so the final price is going to change depending on those factors. The cause of the sporadic price estimates of mobile apps is the technology is relatively new and evolving. For example, new hybrid app development technology caused the average cost of app development for a small business to drop from $49,000 to $38,500 in February of 2015. 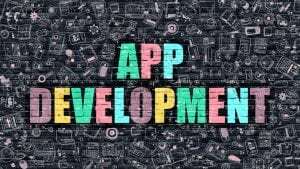 As new tools and strategies emerge, the price of producing an app goes down because developers are able to leverage these tools to reduce their time frames and thereby the overall cost of their labor. In other words, the more mobile evolves, the easier it is becoming to make apps, which means affordable alternatives are appearing. In fact, plug and play development technology offers the ability for a small business to build their own app, with dozens of powerful premade functions, clean templates and more. To understand the cost of creating an app in detail, we will explore the different variables that affect cost, as well as how a simple app maker solution may help. In most cases, we know that doing things in-house can be better, but is way more expensive. This is exactly why many companies turn to mobile development firms. But, that doesn’t mean the off-shore or in-house conversation is over because some of these firms don’t have all of their own resources in-house. They may have their design teams immediately available on hand but outsource their engineering and development needs elsewhere. This saves them money, but you’ll still end up with an expensive “in-house” development team. To help protect yourself from being taken advantage of by mobile development firms, you have to do your due diligence. Since building an app from the ground up is a big expense, it will be well worth your time (and budget) to do your homework. Ask any prospective development team or agency a lot of questions. Who will be working on my app? What apps have they worked on before? How much time will the app take to create? How will you make my app? Native code or hybrid code? How much does it cost to create the iPhone app? How much does it cost to create the Android app? Who handles development and engineering? How do you calculate app development cost? How can I get the cost down on my mobile app? What is the average price to create an app with you? Then once you get into the overall price, try breaking it down into stages of development with more questions. Planning, designing, engineering features, app infrastructure, mobile app administration, testing & Q/A costs, and launching your app to the app stores — what’s are the cost of these stages of the app development process? Again, ask a lot of questions. How much will the cost to plan the app be? What is the cost of designing the app? How much will it cost to engineering the features? What will the ongoing infrastructure cost? Are there any mobile app administration costs involved? How much will the testing of the app cost? Then finally, are there costs to deploy your mobile app? If you aren’t satisfied with the answers or they refuse to let you communicate with individual members, you are better off taking your business elsewhere. The main differences between these two common app development strategies are planning and speed. Waterfall developments make a detailed plan of each process, how long every step will take, the costs, etc. This, as you would expect, extends the timeline by a bit. However, there is a lot of value in planning. At the end of the project, you will have neat records of each process and how long they took. Not only does this make it easy to improve the development and design process for any future apps, but you will also have a much better idea of the costs and timeline. Apps created with the agile strategy, on the other hand, use a lot less planning. Developers gets right to work and move quickly. To someone who desires control and organization, the lack of structure in this approach may be alarming, but it has its perks. 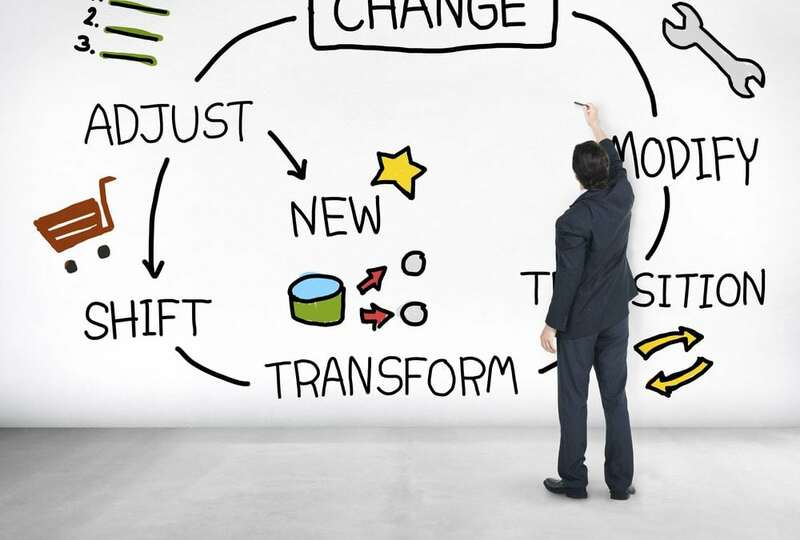 Aside from reaching your launch date sooner, the agile approach is also more adaptable and according to the data, this approach is three times more successful than a waterfall approach. Since developers code and design on the fly, it is easier to change directions to meet emerging needs, whereas the waterfall approach is stuck in its stone form, planned structure. There are drawbacks to moving quickly, though. Costs can easily pile up because developers are moving in quick spurts. Before you know it, the project may be grossly over budget. If you are under a tight deadline (perhaps you want to get an app released before the holiday shopping season), you may have little choice but to choose the agile approach. Typically, but not always, the type of pay system is based on the above development approaches. Waterfall developments are more likely to be a fixed fee because everything is planned ahead of time. During the planning stage, the client (you) and the developers reach an agreed price to spend on the design and planning phase and another price for the actual development of the app. Sometimes, as you change and tweak your process, the fixed price has to be altered. A lot of firms will use work orders to track the costs of these changes. Thus, your ‘fixed’ price is actually not fixed and can be greatly affected, depending on the number of work orders needed. To top it off, after your first release, you will need to update your app as well. This price tag can range between $70-$100/hour after you launch. Agile structures always follow an hourly or labor rate that pays based on the amount of work or effort needed to produce. Before starting, it is important that you fully understand these rates and how they are tracked, especially if it is hourly. There are several classifications of developers. These range from independent contractors up through an extravagant class. Depending on what class of developer you hire, your hourly rate can range anywhere between $75/hour up through $800/hour. A good development firm will have tracking software in place that will allow you to see the progress made and how much time is being put into each stage. While choosing to go with an hourly or labor rate is generally more expensive, a lot of people find the quality is higher because it encourages developers to continue working diligently, whereas a fixed price can sometimes cause them to make shortcuts to hasten the deadline, as they are being paid a set amount, no matter how much work they end up putting in. In either case, you have to be prepared for your developer to go over budget. On average, you will spend about 20% more than you expected. It is easy to look at all of these variables and simply see dollar signs zooming by, but don’t be discouraged. Many of these costly variables are only associated with building an app for the ground up and there is an alternative solution in the forms of content management systems for app development. You’ve all seen the commercials for DIY websites that look and act professionally. You can do the same with your app. With a small team of people who are familiar with the basics of technology, you can have your app up and running in a few days. Why Makes a DIY App Builder so Affordable? 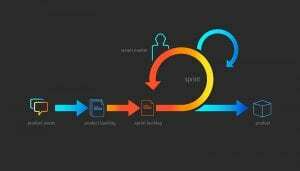 Instead of building every app from the ground up, an app building content management system will offer a wide range of features, design templates and other options that allow you to piece together your own app, using a platform that has already been created, tested and proven effective. Thus, you don’t have to tear any hair out over deciding between which development firm to choose; you are the developer! With pre-built features and templates, no programming expertise is required; you don’t need any background in mobile development. And, a high-quality DIY app builder offers an expansive library of webinars, step-by-step guides, and helpful articles to turn anyone into their own app design pro. Waterfall or agile approach? You build your app on your own time. The beauty of choosing an app creation platform is the comfort knowing that the app will be bug and glitch free. Once you are ready to hit that publish button, you are all set; there is no testing or planning necessary. In addition, the cost of building an app dramatically goes down when using an “out of the box” solution. And, as the mobile app industry progresses and evolves, your mobile app continues to update and evolve with it—so there’s no paying for upgrades. Again, driving the cost of your app down because you don’t have to consistently update it. By staying current with emerging trends, a DIY mobile app creation platform will continue to offer all the features and tools your customers are looking for in a mobile app. So, you never have to worry about having an outdated app or worry about the cost of your app going over budget. 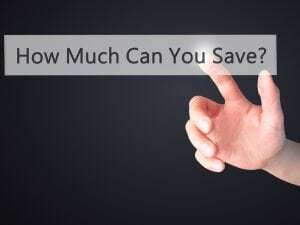 The Bottom Line of How Much Does an App Cost? From a price standpoint, a pre-built app creation platform blows the costs of a ground-up, custom app out of the water. Custom apps can cost as much as $500,000 or higher with a median price between $37,913 and $171,450 as the median price. 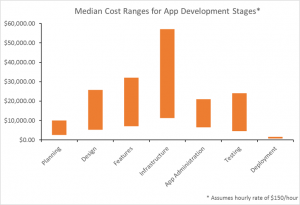 So is there an actually bottom line when it comes to the cost of developing an app? It all depends on what vehicle you take to get there. If you are looking for a luxury app complete with customizations beyond what most business need, you can expect to pay a hearty hourly fee anywhere between $75-$800/hour. The data shows that most often the final number comes somewhere between $39,913 for a small simple up, but it can reach well beyond the $500,000 mark. Keep in mind those custom solutions are not necessary for all businesses. If you are looking to build an app so that your business can compete in the mobile market, there are solutions out there that can get you in the game for as little as $99/month.